It is really quite amazing just how much nature has provided for our survival use. We’ve mentioned pine tree tea before and how it’s rich in vitamin C and vitamin A, is an expectorant, a decongestant, and it can even be used as an antiseptic wash. Pine is rich in medicinal properties for sure, but it ues doesn’t stop there. There are twelve other practical ways the common pine tree can be helpful when you’re out camping, backpacking, hiking, or simply learning more self-reliant knowledge to your repertoire. Did you know part of the bark can be used for wound care? It’s true. 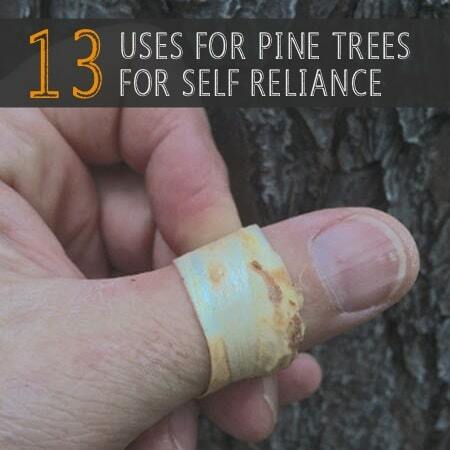 Not only can you use pine for cleaning wounds, you also can make a bandage from the bark.